The objectives of TRUSS have been published in the Website (www.engineersireland.ie), Newsletter and Journal of Engineers Ireland in the issue of the 14th July 2015. The three of them are estimated to reach 24,000 members from every discipline of engineering throughout the island. Engineers Ireland was established in 1835 as the professional body for engineers in Ireland, being currently one of the oldest and largest in Ireland. The Engineers Journal published by Engineers Ireland has been reporting on the latest news and views from the engineering and technology sectors in Ireland and internationally since the 1940s. In recent years, the journal has adopted an online format, www.engineersjournal.ie , which offers immediate access anywhere, at any time, to keep members up to date with news, features and analysis of the profession of engineering and its practice. Members also receive a fortnightly eJournal newsletter with an overview of the latest content. The first paragraphs of the article are reproduced below. Marie Skłodowska-Curie Innovative Training Networks (ITNs) are a prestigious scheme funded by the European Union which aims to train a new generation of creative, entrepreneurial and innovative Early-Stage Researchers (ESRs), able to face current and future challenges and to convert knowledge and ideas into products and services for economic and social benefit. A total 1161 proposals were evaluated as part of the H2020-MSCA-ITN-2014 call for a success rate of about 10.5 per cent. 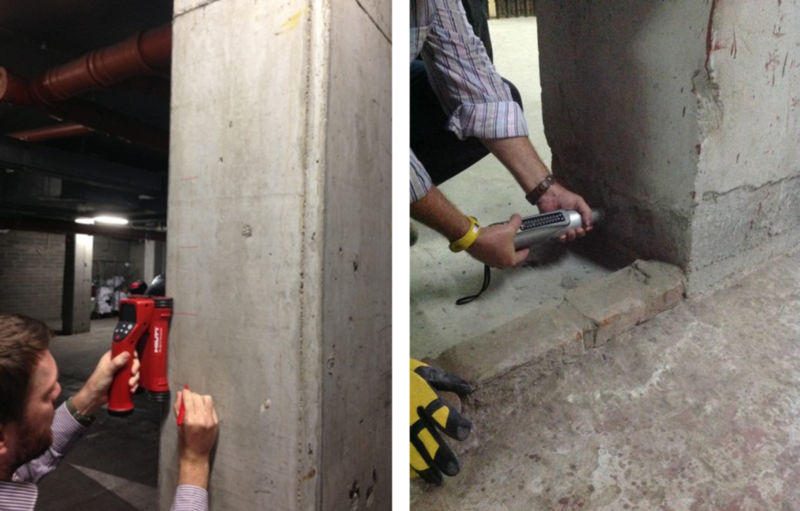 The School of Civil Engineering in University College Dublin (UCD) is coordinating one of the 121 successful ITN proposals, titled TRUSS (Training in Reducing Uncertainty in Structural Safety, http://TrussITN.eu). TRUSS is a 4 year project with an estimated budget of €3.7 million that started on the 1st January 2015. Close to 40 per cent of the total budget is shared among Irish beneficiaries. 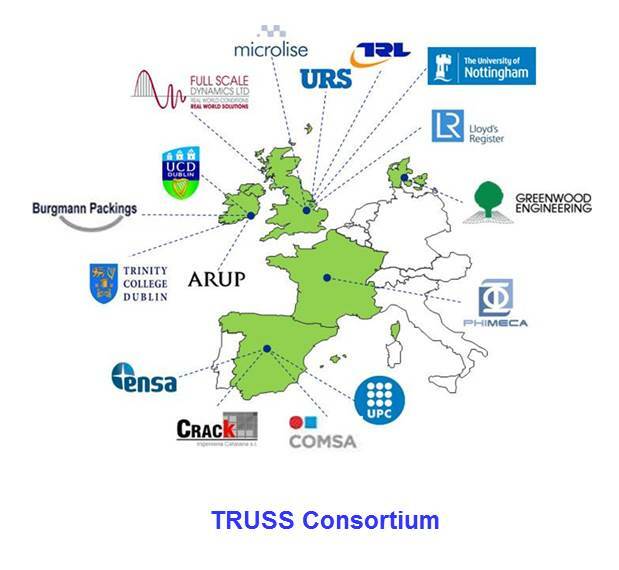 TRUSS consortium consists of four leading European Universities (University College Dublin, Trinity College Dublin, University ofNottingham, and Universitat Politècnica de Catalunya), and five industry beneficiaries (Ove Arup and Partners Ireland, Equipos Nucleares S.A., Full Scale Dynamic Testing Ltd, Lloyd’s Register EMEA and Phimeca Engineering) that share expertise to produce research and training at an advanced level. The consortium has international (5 European countries), inter-sectoral (Buildings, bridges, road, nuclear, wind turbine and marine infrastructure) and multi-disciplinary dimensions (Teams include civil, mechanical, chemical, electrical and electronic engineers, mathematicians, computer scientists and business and marketing managers). 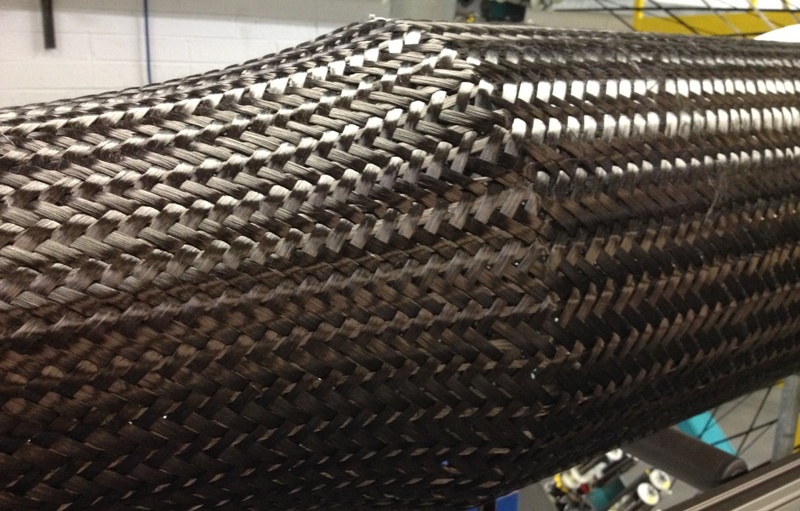 They cover advanced sensor-based structural health monitoring solutions (i.e., unmanned aerial vehicles, optical backscatter reflectometry, monitoring sensors mounted on vehicles traversing the infrastructure, etc.) and innovative algorithms for structural designs and short- and long-term assessments of infrastructure that support operators and owners in managing their assets. Gonzalez, A. 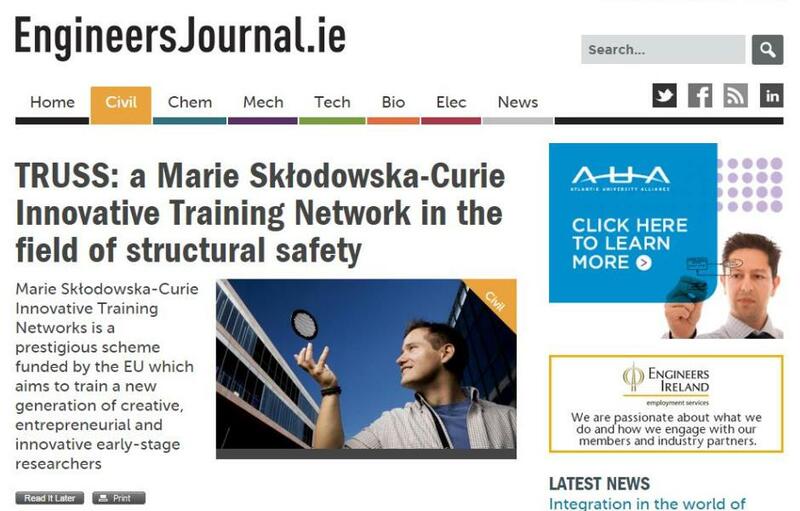 (2015), 'TRUSS, A Marie Skłodowska-Curie Innovative Training Network in the field of Structural Safety', EngineersJournal.ie, July 14 . Available Online.